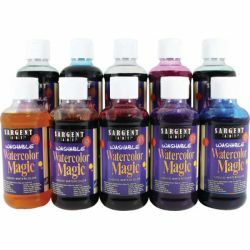 Limited only by your imagination, this versatile paint can be used as a craft dye or diluted with 4 parts water and use as a paint. 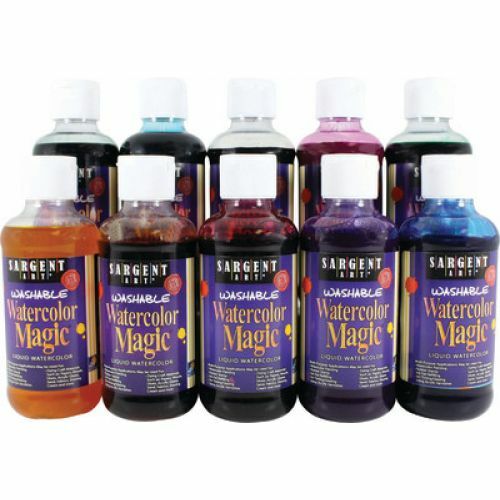 Also great as stamp pad ink refill, glue tinting and more. Set of ten 8 oz. plastic bottles in yellow, orange, red, magenta, violet, blue, turquoise, green, black, and brown.